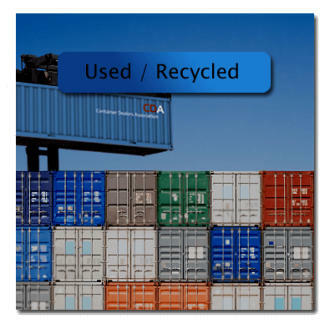 Our certified dealers offer an inventory of used, recycled ISO containers for use as storage ISBU modules, or as construction ISBU modules. Most used and refurbished units are CSC inspected for use as shipping containers for rail or maritime use. Our CDA dealers offer 20GP, 20HC, 40GP, 40HC, and some also offer 10GP, 45HC, and 53HC ISO containers. They are also available in various grades to meet the customers aesthetic needs. CDA dealers are usually affiliated with the national and international Networks to obtain containers from various locations, and ship anywhere for the customer. Ask your dealer about the details. Most new ISO containers are considered One-Trip grade. Even when a container is ordered new from the factory in China, they must be shipped to your country loaded with cargo as a shipping container to compensate for the shipping charges. Thus, you, the buyer does not need to incur the thousands of dollars in shipping fees to get them from the China factory to your local area. 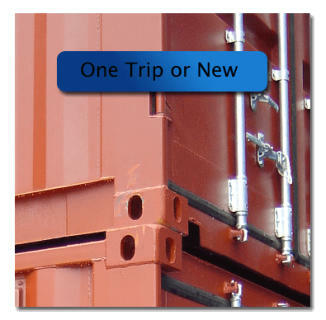 Many One-Trip containers are in local inventory at dealers in most countries. 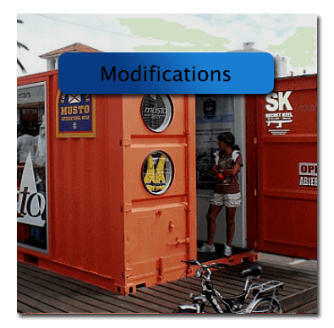 Most of our certified dealers offer container modification services, parts and accessories. Container dealers are an excellent resource for modifications because they are skilled with full-time staff to make the modifications for your project. Many of our dealers also have in-house engineers to provide the proper calculations and ensure quality structuring for your project. Most of our certified dealers offer container modification services, parts and accessories. Container dealers are an excellent resource for modifications because they are skilled with full- time staff to make the modifications for your project. Many of our dealers also have in-house engineers to provide the proper calculations and ensure quality structuring for your project.